Heat the kada and add oil. 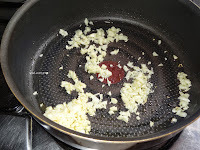 When it is hot add garlic. 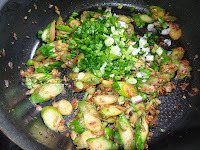 Fry till they are slight brown in color. 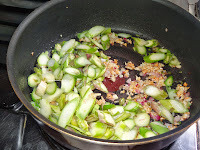 Add sliced asparagus, Salt and cook it till asparagus is cooked. Add chinese 5 spice powder, pepper powder and soya sauce. Fry for another 2-3 mins. Add chopped spring onion and fry for a min. 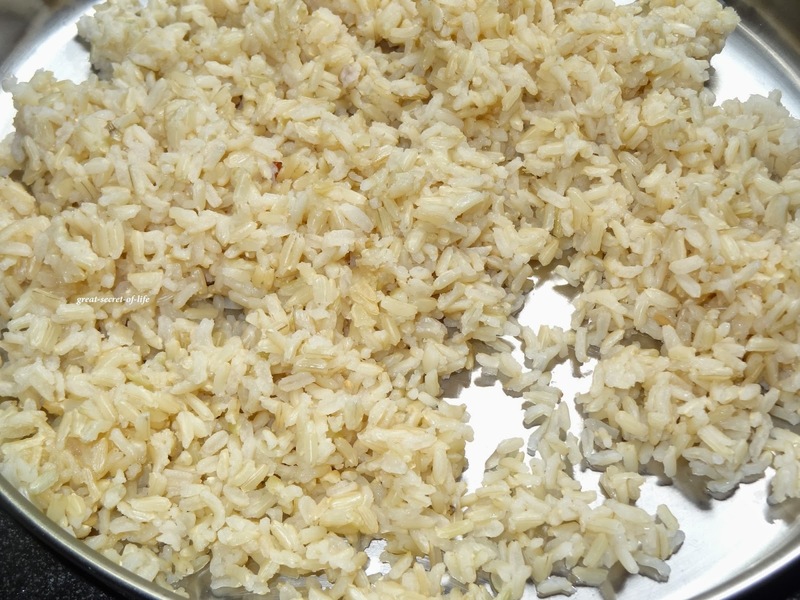 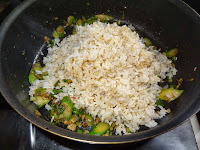 Add cooked rice and mix well. 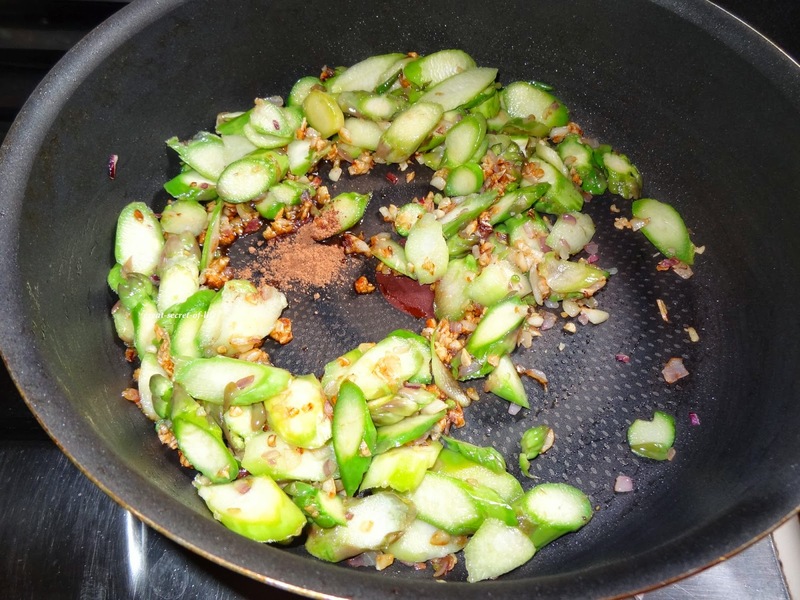 Fry in high flame for 3-5 mins. This is new for me.Looks very interesting. 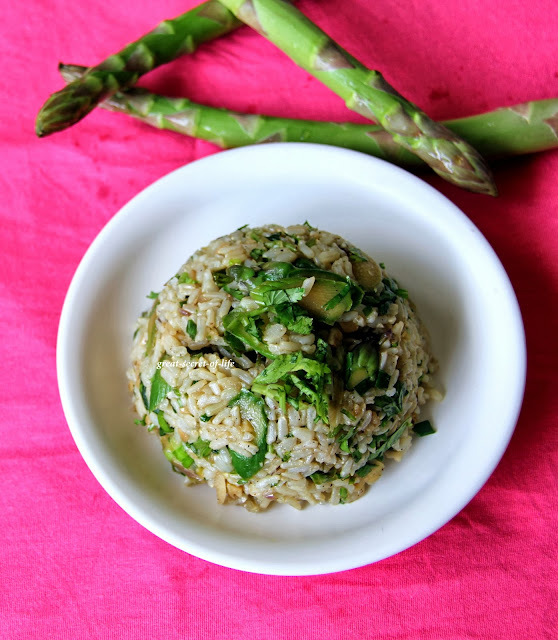 I love this vegetable, its so versatile you can use it anywhere. 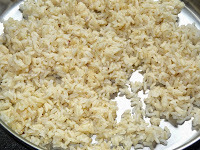 love it in the rice. 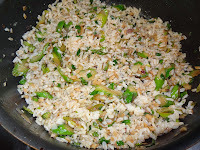 Fantastic and very delicious fried rice, apart from soup and stir fry, i never cooked asparagus this way. 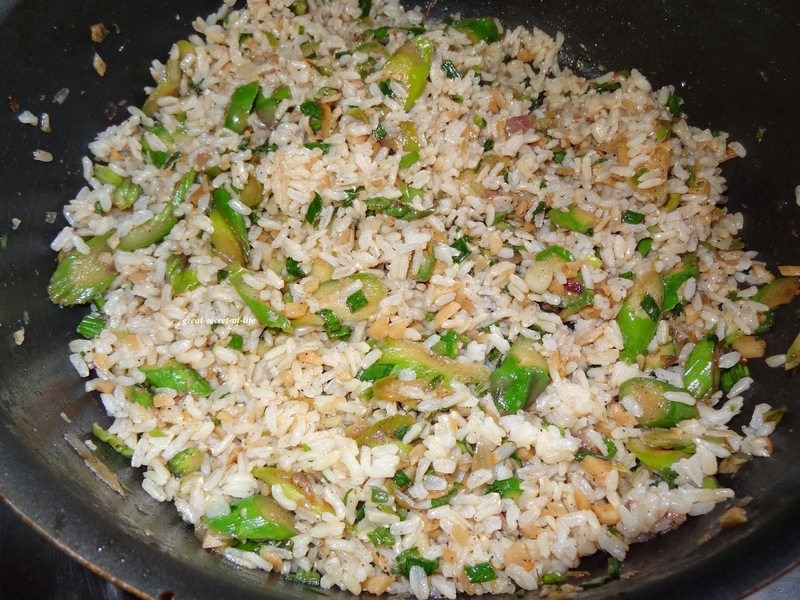 wow thats a very very deliicous and interesting fried rice with asparagus looks super inviting dear!! 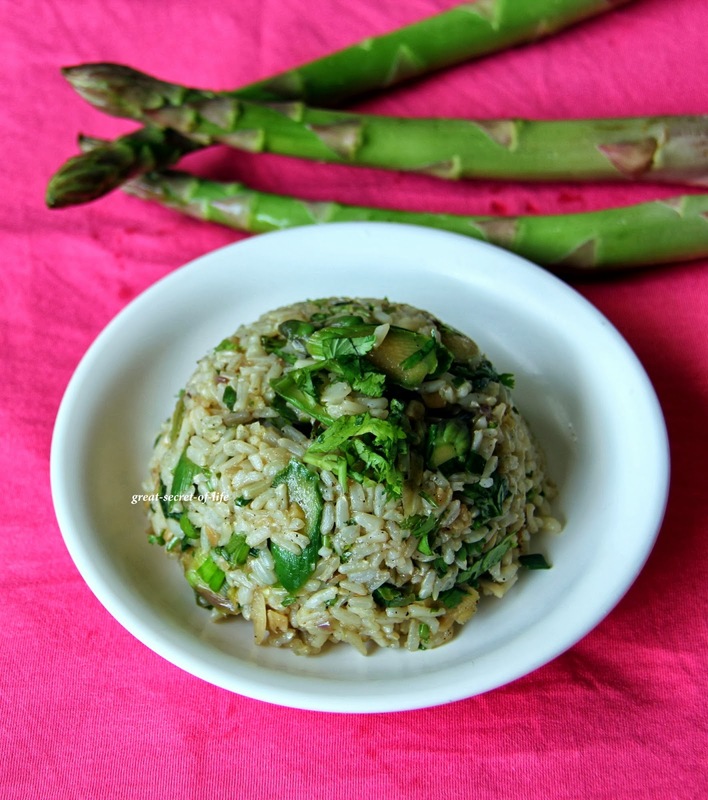 thats so innovative ... great idea of using asparagus in fried rice. 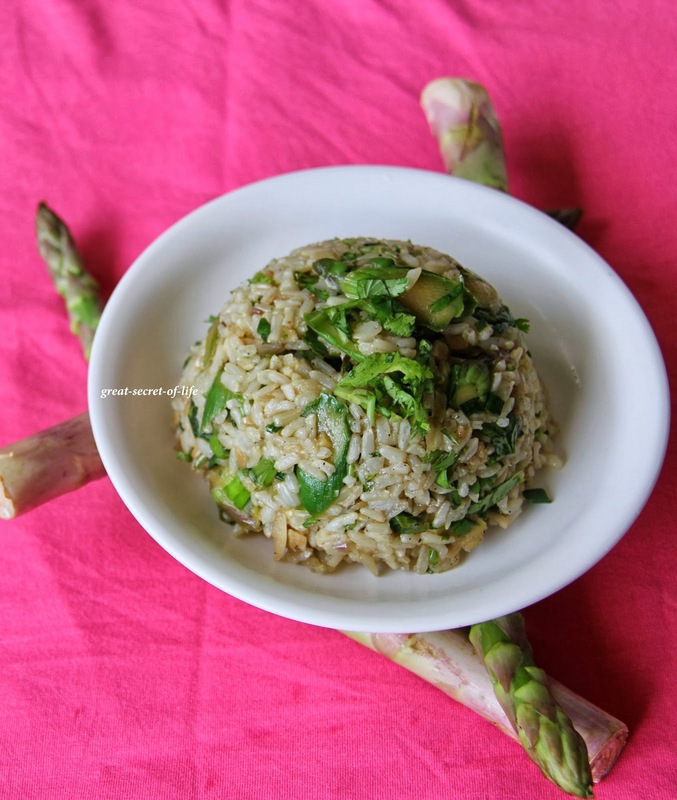 i have never tried it this way ..
thats so innovative... great idea of using asparagus in fried rice.. never tried it this way ..